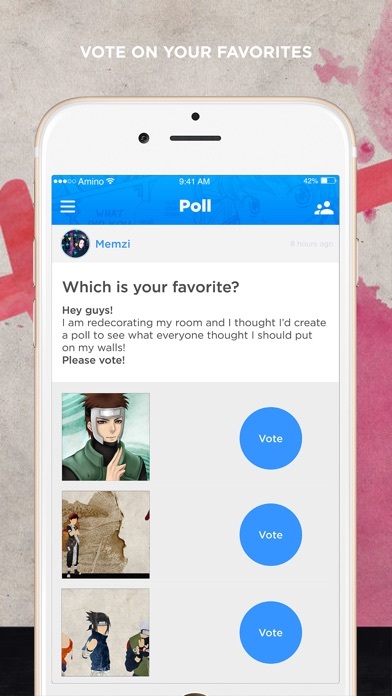 Anime Amino is the fastest growing mobile social network for Anime superfans! - EXPLORE your interests with people who are just as passionate about it as you are. - UNITE with Anime, manga, vocaloid, otaku and cosplay fans from around the world! Enter a world just for anime enthusiasts. 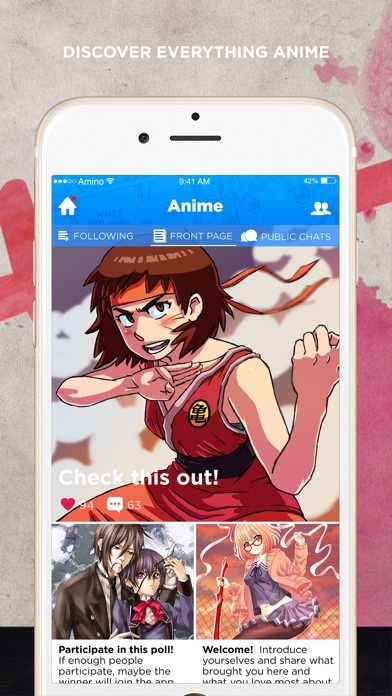 If you’re a committed anime fan, this is the app for you! 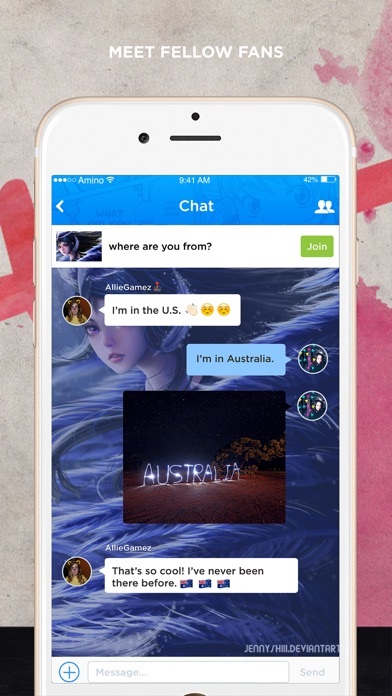 - DISCOVER others who share a passion for anime, manga, cosplay, Japanese culture, and vocaloids- locally, from Japan and the rest of the world! 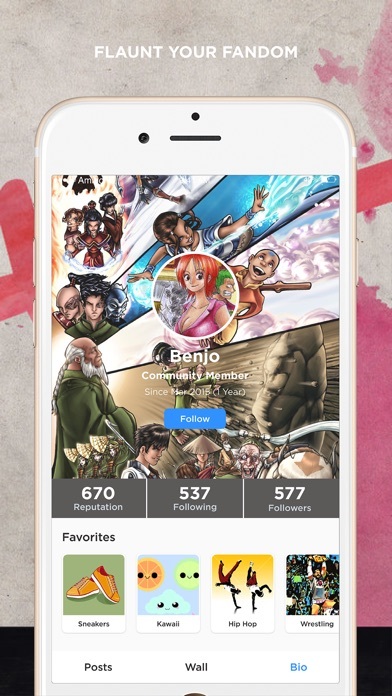 Look no further for the perfect place to talk about your favorite anime and manga, Anime Amino is the ultimate Anime social networking app for your iPhone! If you love shojo, shonen, mecha, seinen, or slice of life anime like Naruto, Pokemon, Dragon Ball Z, Death Note, Bleach, Code Geass, Cowboy Bebop, Soul Eater, Kiba, Hellsing, Fullmetal Alchemist, Vampire Knight, One Piece, Inuyasha, Tenjho Tenge, Elfen Lied, Free! Iwatobi Swim Club, Kaichou Wa Maid Sama, Neon Genesis Evangelion, Sailor Moon, Angel Beats, Attack on Titan, Spirited Away, The Melancholy of Haruhi Suzumiya, Trigun, OHSHC, Special A, Bokura Ga Ita, Howl’s Moving Castle, Clannad, Fruits Basket, Inuyasha, Ghost in the Shell: Stand Alone Complex, Gundam, Black Butler, Avatar: The Last Airbender, Kuroko’s Basketball, Sword Art Online, Toradora, Durarara, Highschool of the Dead, Fairy Tail, Meiko, Rin and Len, Kaito, Hatsune Miku or any other great anime and vocaloids, then this is the place to be! Join our otaku universe! 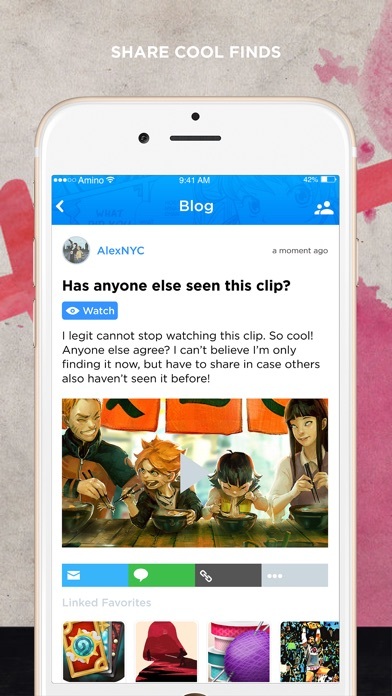 - Subscribe to Amino+ for only $2.99 per month (amount in USD in US App Store). - Your iTunes Account will automatically be charged after you confirm your subscription. - The subscription automatically renews unless auto-renew is turned off at least 24 hours before the end of your billing period. You can manage subscriptions and turn off auto-renewal by going to Account Settings after purchase. - A current subscription cannot be cancelled during an active subscription period. - Save 22% by subscribing to Amino+ for 6.99 per quarter (amount in USD in US App store). - Your iTunes Account will automatically be charged $6.99 every three months after you confirm you subscription. - Save 28% by subscribing to Amino+ for 25.99 per year (amount in USD in US App store). - Your iTunes Account will automatically be charged $25.99 every year after you confirm you subscription.